How to sell a unique property in Toronto that appeals to a sliver of the market while ensuring the best and most timely possible outcome for the seller? Unique properties often require equally unique processes to sell them. "As a professor at U of T, I hold very high performance standards. When it was time to sell my large home near campus, I practiced due diligence in seeking an agent. I chose Susan for her knowledge of laneway properties like mine, her full engagement in her craft, and her pleasant manner. These traits were only part of what made a success of our search for a condo, then sale of a house. Wow. She could “read” my needs and concerns; she kept tense parties on cordial terms; she knew the rules; she never dropped the ball. Terrific. If this were an academic letter of recommendation, I would close with “I recommend Susan Delean without reservation." 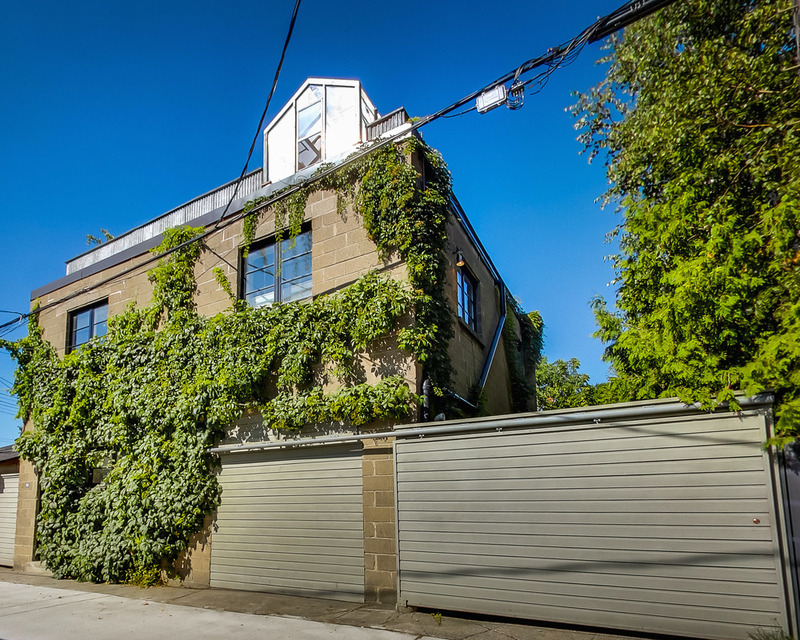 A secluded Harbord Village laneway treasure is being offered for sale exclusively this summer. This unique Croft Street detached structure, north of College and Bathurst, offers a central yet sheltered live/work space in one of the most vibrant neighbourhoods of Toronto. Happily sequestered from the surrounding neighbourhood streets, this abode offers room to breathe in all directions. Step straight into your detached, urban retreat to enjoy living and working in as quiet or lively a manner as you choose. Concrete block walls help maintain unusually low costs for heating and cooling, while light streams in from windows on all four sides. It holds exciting potential as a separate ground floor studio; with generous loft-like living quarters above - each floor more than 1,000 square feet with 9 1/2’ ceilings. The second floor stair leads to a substantial 880 square foot rooftop terrace, with skyline views and your own private piece of sky. Maintained and improved with care throughout its current ownership of 16 years, the opportunities are open for how you choose to inhabit the space. Move right in or consider how best to imprint your taste upon its healthy bones. The choice is yours. 50 Croft’s city foot print is about 33' x 33’ square. Perhaps this is just the box to have you thinking outside of one. Croft Street is one of the only places in the city where laneway housing exists in reasonable supply. Croft offers a glimpse into what Toronto's many back lanes might look like if there weren't so many obstacles surrounding the process of getting such structures built. A mix of garages, some adorned with graffiti, and variations on coach houses, this laneway also acts as a street with garbage pick up, snow removal and speed limit signs. WALKSCORE: 93/100 A Walker's Paradise - Daily errands do not require a car. 100/100 A Rider's Paradise - World-class public transportation. 71/100 Very Bikeable - Flat as a pancake, with a growing number of bike lanes.